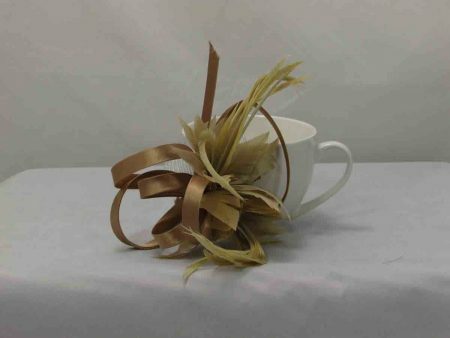 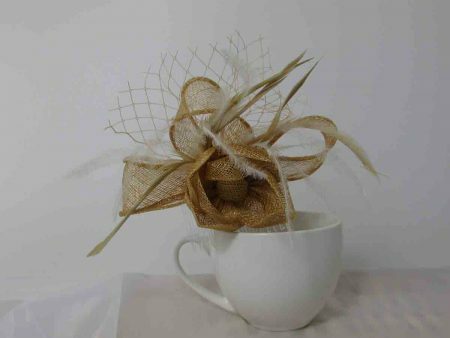 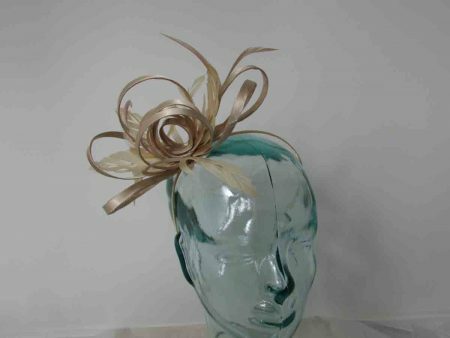 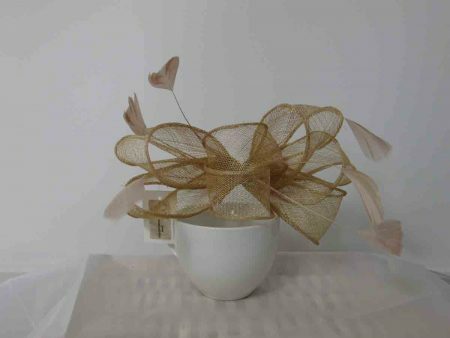 See our range of Gold Fascinators and Gold Hatinators below in a wide range of styles, on alice bands, slides and beak clips. 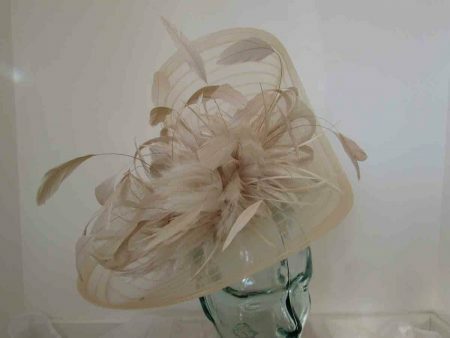 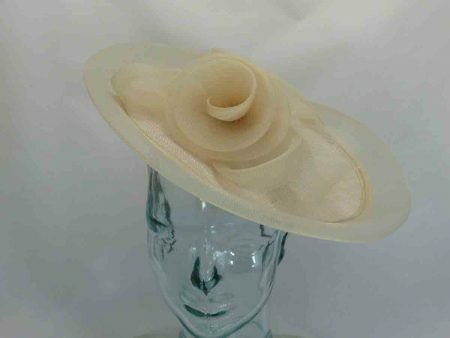 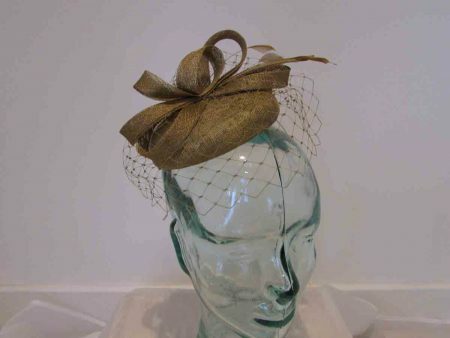 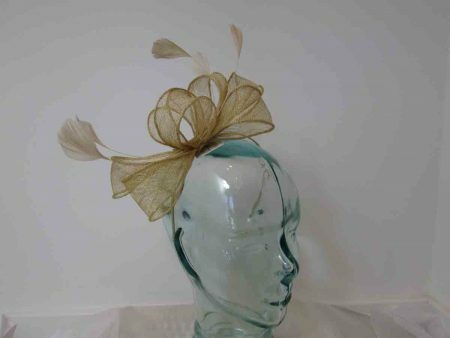 We have over 1000 Fascinators and Hatinators in stock for immediate dispatch. 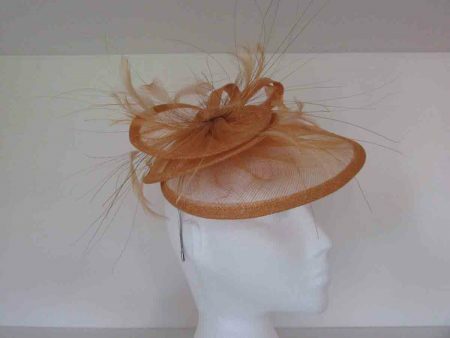 Free delivery on all orders over £40, with express next day delivery also available. 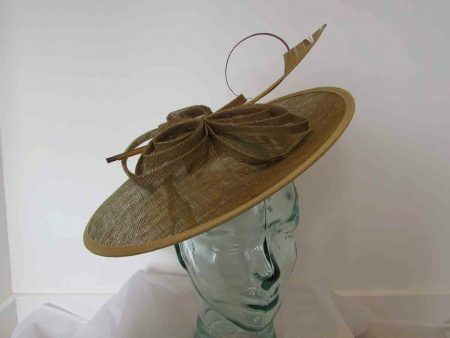 Sinamay disc with single twisted quill and sinamay loops in gold , on an aliceband. 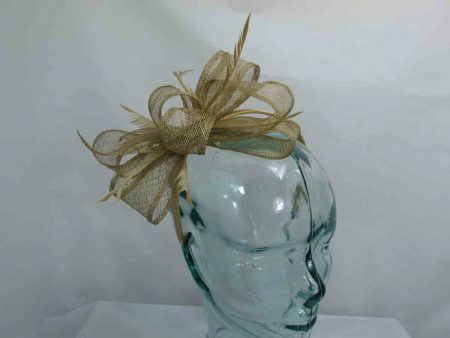 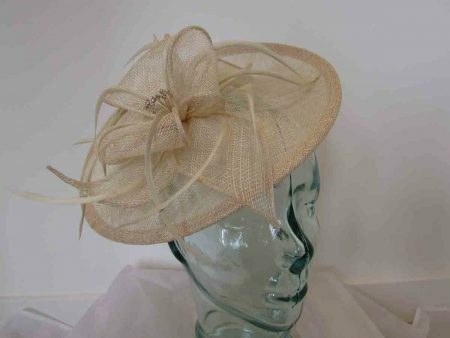 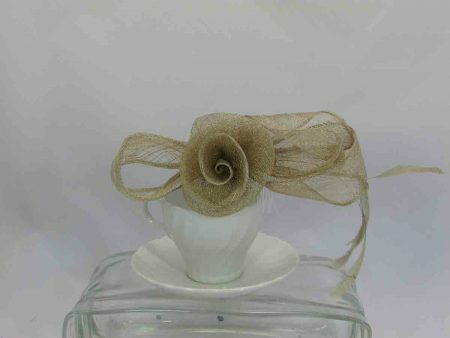 Gold hatinator with sinamay flower and a silver lurex thread.